Best Supplements for Men: for more muscle, higher testosterone, longer life, and better looks was published in 2017 so should still be up to date. I have the paperback but it’s also available as a Kindle e-book. Per Amazon.com’s rating system, I give it five stars (I love it). My favorite sentence in this book is, “If you don’t eat, exercise, and sleep right, the health effects of adding any supplement may be minimal to non-existent.” That sets an honest tone. Also in favor of integrity is that the author doesn’t offer Mangan-branded supplements for sale. I like this book and learned a lot from it. I’ve benefited by reading the author’s tweets and blog (Rogue Health and Fitness) for several years. He’s smart and, I believe, honest. The author supports his assertions with numerous scientific references, organized by chapter at the back of the book. If he cites a study done in mice, he tells you. Human studies admittedly carry more weight. 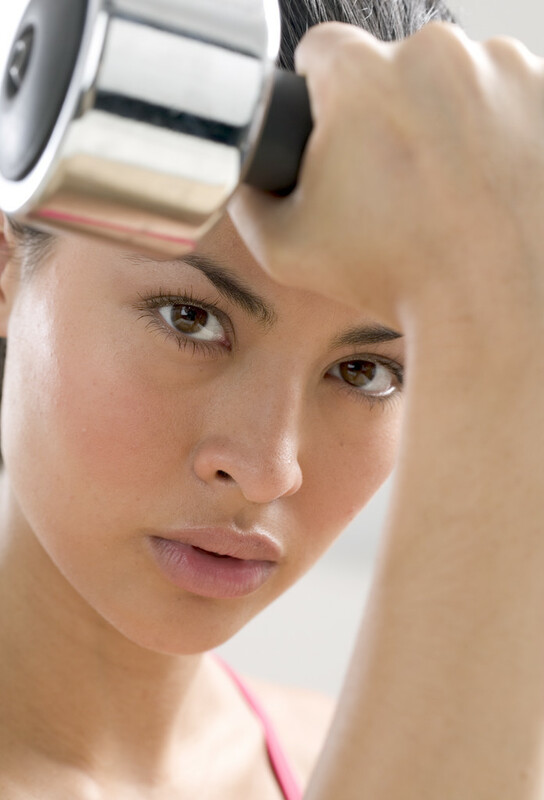 Have you wondered if protein supplements and creatine are good for muscle strength and energy? Does magnesium increase testosterone levels? Does berberine have beneficial health effects? The answers are here. The author gives good advice regarding calcium supplements that even most physicians don’t know about. No book is perfect, and this one is no different. It has no index. So if you’re curious about turmeric or supplements that control diabetes, you have to scan the whole book. My copy didn’t include references for chapter 11. Page numbers for chapters in the index didn’t match the actual chapter starts. My least favorite sentence in the book was something about Dr. Joseph Mercola being a trustworthy source of health information; he is not (search “mercola” at ScienceBasedMedicine.org). Again, I like this book, learned much from it, and recommend it to men. If you’re taking lots of supplements now, read this book to find out if they help, harm, or are only good for making expensive urine. PS: Some personal notes from my reading. Many of the cited studies are “association”-type evidence rather causation. Berberine may help reduce blood sugars in diabetics just as well as metformin. Creatine: Yes, for muscle growth and strength. Magnesium 700 mg/day increases testosterone. Mag oxide may be worthless due to poor absorption. Mangan likes mag citrate but Lexicomp says it’s no better than oxide; absorption “up to 30%.” Citrulline: Yes, for ED, and may help with HTN. DHEA 50 mg/day increases testosterone in men by 50%, but only in men over 70. During fat weight loss, whey protein helps prevent muscle loss. MCT oil may also help (e.g., cook with coconut oil). ASA 81 mg/day seems to prevent some cancers in folks over 55, especially colorectal cancer. Dieting is a bad idea because it treats weight as a function of what you do. The idea is that if you do less of the bad stuff – eating cake, for example – and more of the good stuff – let’s say eating salad – you will lose weight and be healthy. While that is technically true, it is a terrible system because it ignores the biggest challenge of weight management: Your mind. If you get your mind right, everything else happens easily. Lawyer, blogger, and Tweetmaster Mike Cernovich has new book, Gorilla Mindset: How to dominate and unleash the animal inside you to live a life of health, wealth, and freedom. Per Amazon.com’s rating system, I give it four stars (I like it). A couple years ago I read and reviewed Zest For Life: The Mediterranean Anti-Cancer Diet, by Conner Middelmann-Whitney, published in 2011. Per Amazon.com’s rating system, I give it five stars (I love it). This post has nothing to do with the paleo diet, yet I see Stella Metsovas has a new program called the PaleoMediterranean™ diet. I’m not familiar with it. I just finished an ebook, The Heart Healthy Lifestyle: The Prevention and Treatment of Type 2 Diabetes by Sean Preuss, published in 2013. Per Amazon.com’s rating system, I give it five stars (I love it). This is an invaluable resource for 1) anyone recently diagnosed with type 2 diabetes or prediabetes, 2) those who aren’t responding well to their current therapeutic regimen, and 3) type 2 diabetics who want to reduce their drug use. Mr. Preuss is a fitness trainer in my neck of the woods who has worked with many type 2 diabetics. He demonstrates great familiarity with the issues diabetics face daily. His science-based recommendations are familiar to mine since I reviewed many of his references at on of my other blogs (Diabetic Mediterranean Diet). I have gradually come to realize that most of my sedentary type 2 diabetes patients need to start a work-out program in a gym where they can get some personal attention. That’s Mr. Preuss’s opinion, too. The clearly explained strength training program he recommends utilizes machines most commonly found in a commercial gym, although some home gyms will have them also. His regimen is easily done in 15–20 minute sessions two or three times a week. He also recommends aerobic activity, such as walking at least several days a week. He recommends a minimum of 113 minutes a week of low intensity aerobic work, citing evidence that it’s more effective than higher intensity effort for improving insulin sensitivity. I don’t recall specific mention of High Intensity Interval Training. HIIT holds great promise for delivering the benefits of aerobic exercise in only a quarter of the time devoted to lower intensity aerobics. I was glad to see all of Mr. Preuss’s scientific references involved humans, particularly those with type 2 diabetes. No mouse studies here! Another strength of the book is that Sean tells you how to use legitimate psychological tricks to make the necessary lifestyle changes. The author notes that vinegar can help control blood sugars. He suggests, if you can tolerate it, drinking straight (undiluted) red wine vinegar or apple cider vinegar – 2 tbsp at bedtime or before carbohydrate consumption. I’ve heard rumors that this could be harmful to teeth, so I’d do some research or ask my dentist before drinking straight vinegar regularly. For all I know, it could be perfectly harmless. If you have a definitive answer, please share in the comments section below. The diet advice herein focuses on replacement of a portion of carbohydrates with proteins, healthy oils, and vegetables. I highly recommend this book. And sign up for Mr. Preuss’s related tweets at @HeartHealthyTw. Disclosure: Mr. Preuss gave me a free copy of the book, otherwise I have received no monetary compensation for this review. What Do Mainstream Dietitians Think of the Paleo Diet? I’m curious to know what mainstream dietitians think about the Paleolithic diet, so I read an article entitled “Are diets from Paleolithic times relevant today?” This one-page article is in the August, 2012, issue of the Journal of the American Academy of Nutrition and Dietetics. The author is Eleese Cunningham, RD, of the Academy of Nutrition and Dietetics Knowledge Center Team. This article appears to be in a regular feature of the journal called, “From the Academy: Question of the Month.” Are diets from Paleolithic times relevant today? She never answers directly. I suspect the average dietitian reading this article will conclude that Ms. Cunningham and the Academy are not in favor of the paleo diet. Position of the American Dietetic Association: Vegetarian diets. Journal of the American Dietetic Association, 2009 (109): 1266-1282. 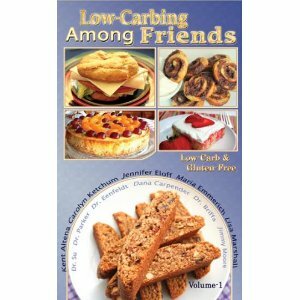 About six months ago I read Low-Carbing Among Friends, Volume 1 by Jennifer Eloff, Maria Emmerich, Carolyn Ketchum, Lisa Marshall, and Kent Altena. The paleo diet is often thought of as low-carbohydrate, even though Eaton and Konner have convinced me that’s not necessarily the case. 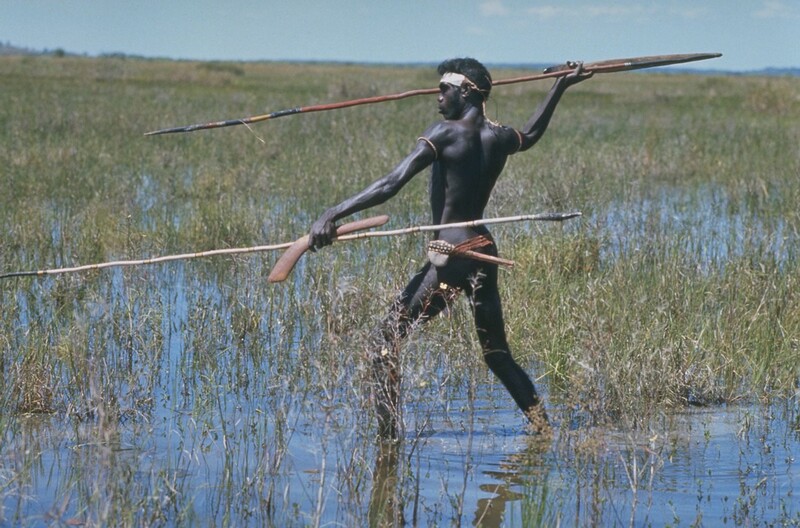 Eaton and Konner suggest that an ancestral diet, on average, provides 35 to 40% of total calories as carbohydrate. Compare that to the 50-55% of carb-derived calories in the Standard American Diet. Many hard-core low-carbers restrict digestible carbs to 10 or 20% of total calories. Old Stone Age diet followers nearly always exclude grains. Cookbooks that exclude gluten, derived from certain grains, could appeal to paleo dieters. In that spirit, here’s my review of Low-Carbing Among Friends, Volume 1. Many of these recipes use dairy products and artificial sweeteners, so if you’re eating strict pale, look for a different cookbook. If you have a favorite pure paleo cookbook, do me a favor and tell me in the comment section. If you’re serious about low-carb eating, you’ll want this book. Five well-known low-carb cooks and chefs present many of their best recipes in a straightforward format. All 300+ recipes are gluten-free, wheat-free, and sugar-free. I read through over half of the recipes and understood all the instructions; I’m confident I could make anything in this book. Some of of the recipe ingredients will be a little hard to find. You may have to order a few of them online, and the authors tell you where to order. Unless you’re just dabbling in low-carb eating, you’ll want to stock up on some of these anyway. I have an incurable sweet tooth. I like to share my cooking with my wife, but she has, um, (ahem)… “gastrointestinal problems” with my usual non-caloric sweetener, Splenda. That’s not very common, but is a well-known phenomenon. I was glad to learn herein that erythritol is a trouble-free alternative, GI-wise. One thing I miss about standard high-carb eating is baked sugary items like cakes and muffins. Sure, I’ve read that if you stay away from those for four to six months, you’ll lose your desire. Not me. And I tried. In my next stretch of days off, I’m making a batch of Jennifer Eloff’s Splendid Gluten-Free Bake Mix and spending some time in the kitchen! Not being previously familiar with him, I was particularly impressed with Kent Altena’s background. Starting at over 400 pounds (182+ kg), he lost over 200 pounds (91+ kg) and reenlisted in the U.S. National Guard and started running marathons (26.2 miles)! Thank you for your service to our country, Mr. Altena. The book is laced with commentary from low-carb proponents, including Dana Carpender, Jimmy Moore, Dr. John Briffa, Dr. Andreas Eenfeldt, Dr. Robert Su, and me. I am honored to have been invited. By the way, recipe measurements are given in both U.S. customary and metric units, which non-U.S. residents will appreciate. Serving size nutrient analysis includes digestible carb grams (aka net carbs). All recipe carb counts are under 10 g; most are under 5 g.
If you’re tired of eating the same old things, I’m sure you’ll find many new dishes here that will become time-honored classics in your household. Disclosure: As a supporter of low-carb eating, I contributed two pages to the book. I did not and will not recieve any remuneration, and I purchased my own copy of the book. PS: Recipes I want to try: Cinnamon Swirl Cookies, Green Bean and Bacon Salasd, Gingerbread Biscotti, Tuan Burgers, Blueberry Muffins, Pecan Sun-Dried Tomato and Bacon Cauli-Rice, Spicy Shrimp with Avocado Dressing, 24-Hour Chili, Harvest Pancakes, Breakfast Casserole, Bacon Wrapped Jalapeno Poppers, Stuffed Mushrooms, Broccoli Bacon Salad, Seven Layer Salad, Sausage Quiche, Low-Carb Pancakes, Stuffed Hamburgers, Eggplant Parmeson, Flax Bread, Splendid Gluten-Free Bake Mix, and Mock Danish. A few months ago, I read The Blood Sugar Solution: The UltraHealthy Progam for Losing Weight, Preventing Disease, and Feeling Great Now! Published in 2012, the author is Dr. Mark Hyman. I give it three stars per Amazon’s rating system (“It’s OK”). Actually, I came close to giving it two stars, but was afraid the review would have been censored at the Amazon site. The book’s promotional blurbs by the likes of Dr. Oz, Dr. Dean Ornish, and Deepak Chopra predisposed me to dislike this book. But it’s not as bad as I thought it’d be. The good parts first. Dr. Hyman favors the Mediterranean diet, strength training, and high-intensity interval training. His recommended way of eating is an improvement over the standard American diet, improving prospects for health and longevity. His dietary approach to insulin-resistant overweight/obesity and type 2 diabetes includes 1) avoidance of sugar, flour, processed foods, 2) preparation of your own meals from natural, whole food, and 3) keeping glycemic loads low. All well and good for weight loss and blood sugar control. It’s not a vegetarian diet. The author proposes a new trade-marked medical condition: diabesity. It refers to insulin resistance in association with (usually) overweight, obesity, and/or type 2 diabetes mellitus. Dr. Hyman says half of Americans have this brand-new disorder, and he has the cure. If you don’t have overt diabetes or prediabetes, you’ll have to get your insulin levels measured to see if you have diabesity. He reiterates many current politically correct fads, such as grass-fed/pastured beef, organic food, detoxification, and strict avoidance of all man-made chemicals, notwithstanding the relative lack of scientific evidence supporting many of these positions. Dr. Hyman bills himself as a scientist, but his biography in the book doesn’t support that label. Shoot, I’ve got a degree in zoology, but I’m a practicing physician, not a scientist. The author thinks there are only six causes of all disease: single-gene genetic disorders, poor diet, chonic stress, microbes, toxins, and allergens. Hmmm… None of those explain hypothyroidism, rheumatoid arthritis, systemic lupus erythematosis, tinnitus, migraines, irritable bowel syndrome, Parkinsons disease, chronic fatigue syndrome, or multiple sclerosis, to name a few that don’t fit his paradigm. Furthermore, he recommends a minimum of 11 and perhaps as many as 16 different supplements even though the supportive science is weak or nonexistent. Is he selling supplements? You betcha! After easily finding these bloopers, I started questioning many other of the author’s statements. I was very troubled by the apparent lack of warning about hypoglycemia (low blood sugar). Many folks with diabetes will be reading this book. They could experience hypoglycemia on this diet if they’re taking certain diabetes drugs: insulin, sulfonylureas, meglitinides, pramlintide plus insulin, exenatide plus sulfonylurea, and possibly thiazolidinediones, to name a few instances. If you don’t have diabetes but do need to lose weight, this book may help. If you have diabetes, strongly consider an alternative such as Dr. Bernstein’s Diabetes Solution or my Conquer Diabetes and Prediabetes.